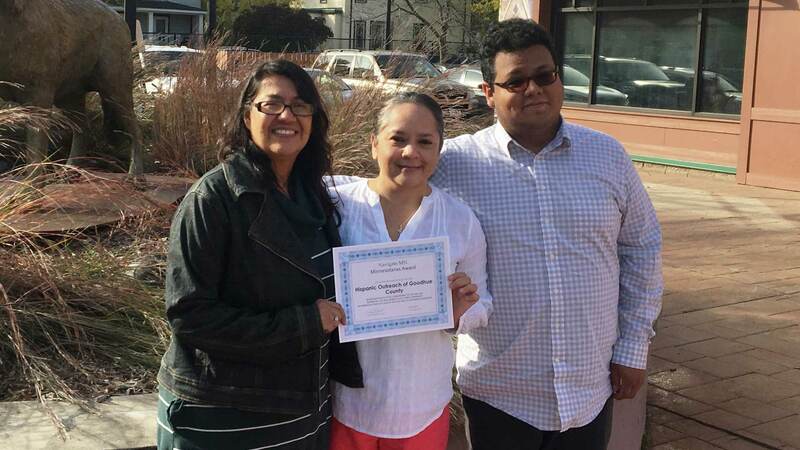 Hispanic Outreach of Goodhue County has been named Latinx organization of the year by NAVIGATE MN, a nonprofit devoted to helping Minnesota’s immigrant population achieve success through higher education. The award was one of five distributed by NAVIGATE MN at its 10th annual Minnesotanxs gala and award ceremony Sept. 29, 2017. This year marks the first time that Hispanic Outreach has been recognized with a Minnesotanxs award.